Charges will come in at 11 public toilets to help pay for improvements to loos across Brighton and Hove. The toilets in the Royal Pavilion Gardens, in Brighton, are due to benefit first from the income stream. The fee for a pee is the result of a new contract between Brighton and Hove City Council and a company called Healthmatic. The new 30p charge was accepted by the council’s Policy, Resources and Growth Committee when it met at Hove Town Hall this evening (Thursday 11 October). Healthmatic has committed £602,000 to upgrading public toilets in Brighton and Hove with a further £550,000 budgeted by the council. Labour councillor Gill Mitchell, who chairs the council’s Environment, Transport and Sustainability Committee, said: “This is a good way of putting the service on a sustainable footing. “It will enable us to gain income through charging for 11 toilets. Conservative councillor Tony Janio had concerns about charges being included in the Healthmatic contract. Councillor Janio said that he could not recall the switch to charging being part the tendering process. But the council’s executive director of economy, environment and culture Nick Hibberd said that all the bidders were invited to tender, with income to go towards the cost of refurbishing toilets as part of the deal. Conservative councillor Garry Peltzer Dunn called for better provision for women as they were usually poorly served by public toilets. 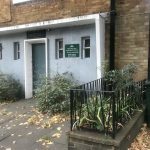 Labour councillor Emma Daniel was unimpressed by the suggestion that women took longer but Councillor Peltzer Dunn said that this was because there were too few toilets for them. Green councillor Phélim Mac Cafferty said: “I hope we are liaising with the homeless shelters to make sure the homeless get a pass or something to enable them to use the toilet. Mr Hibberd said that each site would be considered for equalities and access on an individual basis. The public already have to pay to use the toilets at the West Pier Arches. 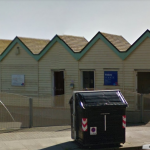 The other 10 toilets where charges are to be brought in are at Black Rock, Goldstone Villas, Hove Lagoon, the King Alfred, King’s Esplanade, Lower Promenade East, Lower Promenade West, Peter Pan’s Playground, the Royal Pavilion Gardens, the Colonnade and Western Esplanade. Councillors voted seven to three in favour of the 30p charge and for City Environmental Management to pay up to £550,000 towards refurbishment costs. A pun there with “income stream”? How do they propose to comply with the 1963 Turnstile act, which prohibits turnstiles at public toilets? Hopeless stupid policy, it will just lead to more urinating in shop doorways and so on at night and loading areas in the day. What few toilets there are left in the city these days should be paid for by use of themoney they made selling all the others off, Not charging for them. I’ll be sure to carry a 30p piece everywhere I go.